Once your offer has been accepted buy the seller, you are nearing the end of your search for a new home. This is big news! But now what? Our team will assist you through the closing period of your home purchase. Typically, this period takes between 30 and 90 days to complete but can change depending on any agreements made between the buyer and the seller at the time of purchase. Additional inspections such as mortgage appraisals or home inspections. Arrangement of buyer access visits to your new property, as is outlined by the Agreement of Purchase and Sale. This lets you begin planning renovations, repairs, or interior decorating. Help you find certified tradespeople with trusted reputations to advise and quote on any repairs or renovations before you own the home legally. Provide recommendations and contact information for trusted professionals in your area such as mortgage brokers, estate lawyers and moving companies. Find answers to any questions you may be asked by your insurance company. Help you understand all costs and fees involved, such as the Land Transfer Tax. Help with advice for moving into your new home. If a home is being bought through a mortgage, buyers must carry fire insurance to insure the property from the closing date. Your solicitor will require a confirmation letter to show your bank that your property is insured. Without this insurance, the bank will not advance the money you need to close your purchase. What a real estate lawyer will do for you during the closing period. Disbursements including City Tax Certificate, City Engineering Report, Title Insurance, City Zoning Reports, Title Insurance, Deed Registration, Registry Office searches and other administrative costs. Land Transfer Tax – Ontario and City of Brantford taxes are paid by the buyer via their real estate lawyer at the closing of the transaction. The Search of Title to the home property begins in the Land Registry Office and ensures the seller owns the property. This process ensures the seller has the right to sell you the property and that the property isn’t subject to encumbrances. These include liens, easements, encroachments, mortgages or other undisclosed agreements not stipulated in the Agreement of Purchase and Sale. The Search of Title must be completed before the Requisition Date outlined by your Agreement of Purchase and Sale. Your lawyer will also request a Tax Certificate to verify the current year’s tax amounts and to investigate any outstanding tax charges or arrears. At this point your solicitor will also request full information about zoning laws, permitted uses and restrictions from the Building and Zoning Department. 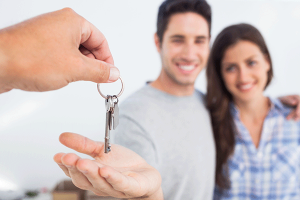 Our job isn’t done once you have successfully completed the purchase of your new property. The Munir Group‘s experts are available to assist with any outstanding issues or questions you may have about your new home. We are happy to keep you up to date on neighbourhood property values or just chat about how things are going.